In the Senate hearing back on July 21, 2018, Senator Franklin Drilon kept on linking Atty. Glenn Chong to Bongbong Marcos to stop him from making comments on BBM’s protest. The basis of Senator Drilon’s questions was a letter from BBM’s lawyer, Atty. George Garcia. This letter, dated March 15 was passed to Drilon by one of Robredo’s lawyers. Stated in the letter was that BBM was assigning Glenn Chong to some activities in Sta. Rosa Laguna. As such, the camp of the presumptive Vice President Leni Robredo is asking the Supreme Court to investigate Chong. In any angle, it is certain that Robredo wants to identify Chong as BBM’s lawyer to shut him off under the PET’s gag order. The young lawyer retaliates by making sure to respond to Robredo’s plea on time. This is with all his evidence proving the alleged lies of the presumptive VP. He also lashes on her lawyer, Atty. Romulo Macalintal who is running for Senator under the Liberal Party. 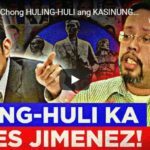 [VIDEO]: Atty Glenn Chong Pinapatahimik na ni Lugaw. Glenn Chong says that the lawyers of Robredo should know that he didn’t go to the said hearing described in Garcia’s letter. A representative of Robredo was always present in the activities that took more than a week to finish. Atty. Chong claims that he wasn’t there even for a day. To complete their false narrative, Robredo and her supporters show a picture from his Facebook post where he is in the Comelec warehouse in Sta. Rosa. 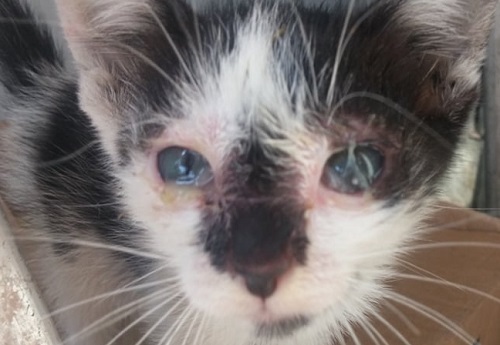 Chong, however, said that particular picture was taken nearly 5 months before. 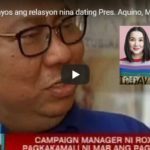 Chong attests that there was no evidence of Robredo’s accusation because the said picture was not specifically taken between March 20 to 27 of 2017. Despite that, this fabricated story by the Camp of Robredo made it to the so-called yellow media. They still publicized the news and deceived the public. He also asserts that if he was sent but he didn’t go, it only shows that he has his freedom to not follow orders as he is not a representative of BBM. 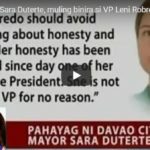 Robredo’s camp filed a manifestation of grave concern with an urgent motion to the Presidential Electoral Tribunal indicating their suspicion on Atty. Chong. They particularly would like the PET to investigate how he acquired access to the audit logs from Ragay Town of Camarines Sur as well. One of the 3 pilot provinces that BBM picked for his poll protest was Camarines Sur. Incidentally, Camarines Sur is Robredo’s home province. In their manifestation, Robredo’s camp cites partial transcripts of the July 31 Senate hearing regarding the alleged poll fraud of 2016. Chong was allegedly one of the resource people who divulged such anomaly. 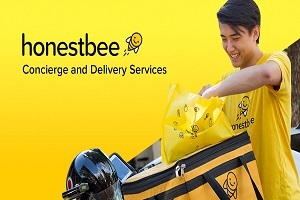 Nevertheless, Chong insisted that he got the data from the Senate Electoral Tribunal. Who will Detractors Kill Next to Blame it on the President’s Drug War? Cielito “Honeylet” Avanceñ defends him from accusations that he is a killer. Her argument was simple: if the President is a killer, his political enemies would have long been dead. She said this amidst speculations that Du30 has a hand on the drug war killings. 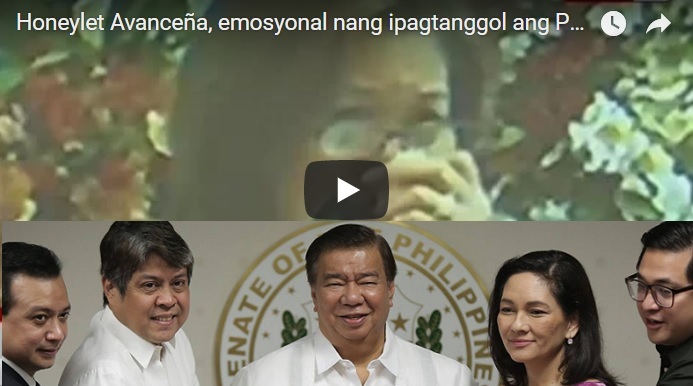 [VIDEO]: Honeylet Avanceña, emosyonal nang ipagtanggol ang Pangulo at kampanya kontra-droga. “You’ve seen it, Senator Antonio Trillanes has been hitting us since a week before the election. Then why is he still alive, right? Nothing’s happened to him, so it’s not true. You know that he’s not that kind of person,” Avanceña said. She talks to Philippine National Police officials during the launch of the PNP’s “Life After TokHang” program. The project seeks to provide a holistic approach to the drug war. Her husband is widely criticized because of this. Detractors name drop International human rights bodies in their media propaganda just to discredit the President and his campaign. Aside from Trillanes, Avanceña cites the President’s long-time critic in Davao City, former Speaker Prospero Nograles. “Nograles himself has done not very good things to him in the past, but look how forgiving he is,” she said. She refers to Du30’s burying the hatchet with Nograles. “He will never instruct anybody, the Armed Forces, or the PNP for that matter, to kill for no reason at all. He just can’t-do it, he’s a lawyer,” she added. The non-Visayan media often misunderstand the Du30’s countless threats to kill violators of the law. They even cited in many instances that he said he will do the killing himself. Little do they know that in the Visayan dialect, such statements just mean that he is serious to implement the law. The question now is, who will the detractors kill next to blame it on the President? Unlike PGMA’s charter change or cha-cha proposal, the constitutional change or con-con inspired by President Rodrigo Duterte to change the government system into Federalism is initiated by the number one opposition in the senate, Senate President Franklin Drilon who filed a resolution pushing for constitution convention to revise the 1987 Constitution. Drilon however clarified that “members of Congress at the time of the adoption of the resolution are not qualified to be elected as delegate to the Convention”. He added that candidates in the May 2016 elections are also prohibited from qualifying as a delegate to the Convention. Delegates to the Convention will also be elected by administrative region based on the number of legislative districts in the region. They will have the same qualifications as those required of the members of the House of Representatives; as reported by CNN Philippines. Other restrictions for convention delegates would be; elected or appointed public officials in the Armed Forces and other government agencies can seek convention delegation but they are automatically resigned from their posts. 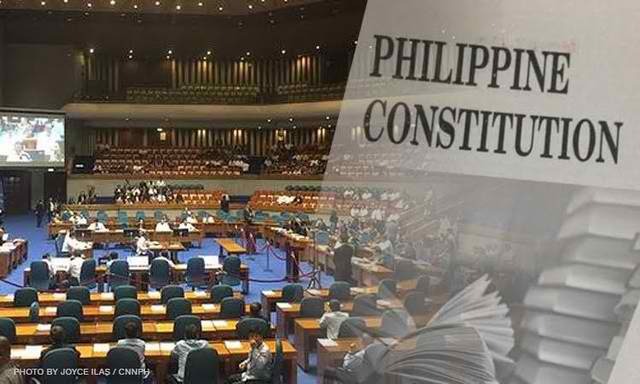 The parliamentary federal form of government that President Duterted campaigned for can only be implemented should the constitutional amendments that Drilon is initiating will be approved by congress. The Philippines’ alarming transportation crisis will now be dealth with by athe Duterte administration head on right away during the initial month of his reign. The emergency powers needed to fastrack solutions of this grievous problem that has put the masses into too much sufferings in a daily basis can be realized after the bill granting it to the new administration has been apporved after it’s filing today in the Senate that will be tackled immediately upon opening of the 17th Congress on July 25. Senate President Franklin Drilon filed Senate Bill No. 11, or the “Transportation Crisis Act of 2016”. 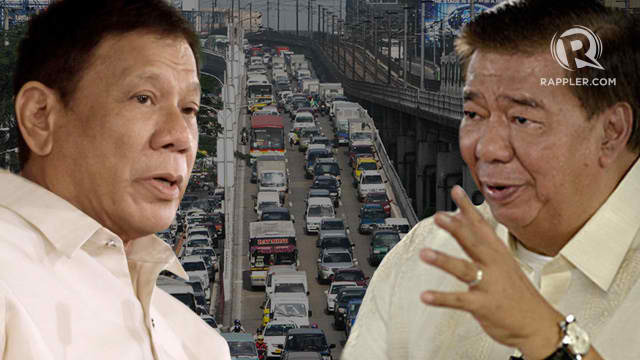 Drilon, from the Liberal Party earlier expressed his support to the Duterte administration’s legislative agenda, acknowledged that the emergency power being sought by the new government is already a “necessity” given the magnitude of traffic experienced in urban areas. The senator said apart from Metro Manila, also experiencing unbearable traffic are Metro Cebu and Cagayan De Oro, hampering growth and urban development in these areas. It will authorize the President to adopt alternative methods of procurement for the construction repair, rehabilitation, improvement or maintenance of transportation projects aimed at reducing traffic congestion in Metro Manila and other major cities in the country as well. Drilon said the traffic congestion has already contributed to an estimated productivity loss of around P2.4-billion or $54-million a day, or more than P800-billion or P$18-billion a year and if it continues unabated, the traffic cost is expected to increase to P6-billion a day, from today’s P2.4-billion; Manila Bulletin reported.